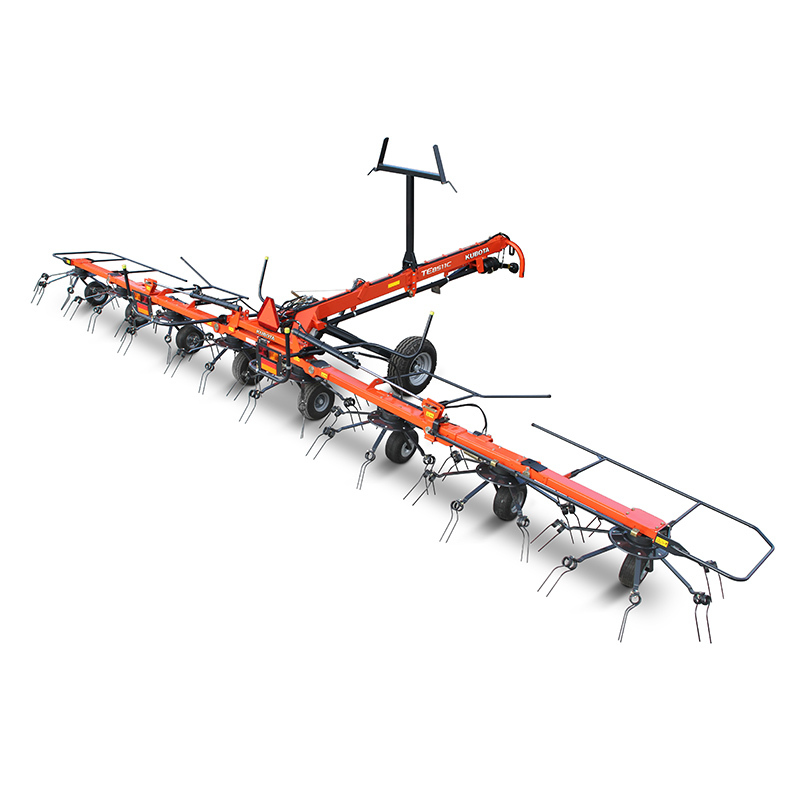 Carrier frame tedder with 11.0 or 13.3m working width. 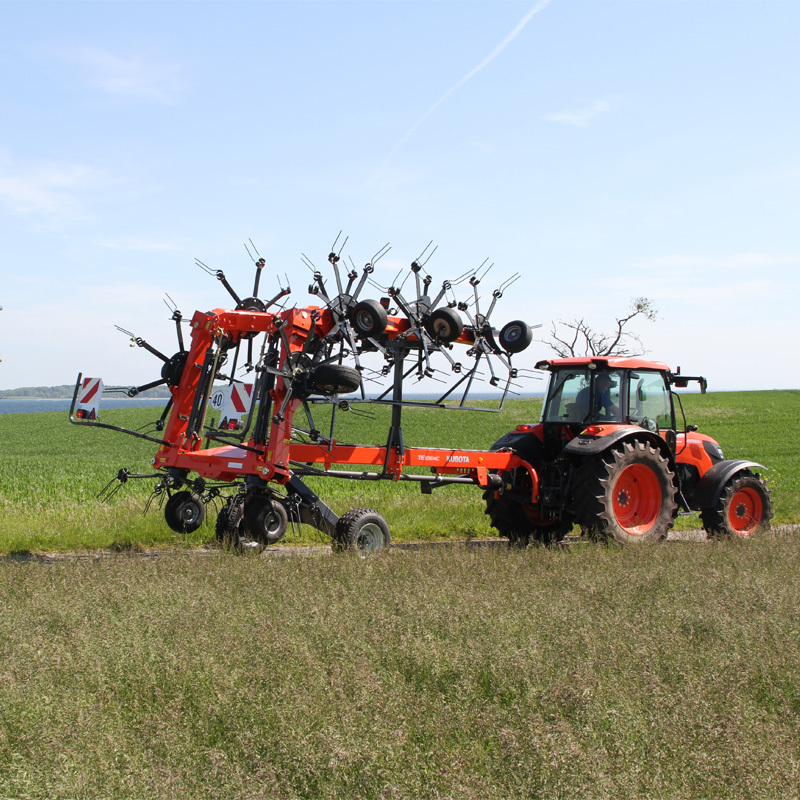 Kubota TE8511C and TE10514C are very easy to use. 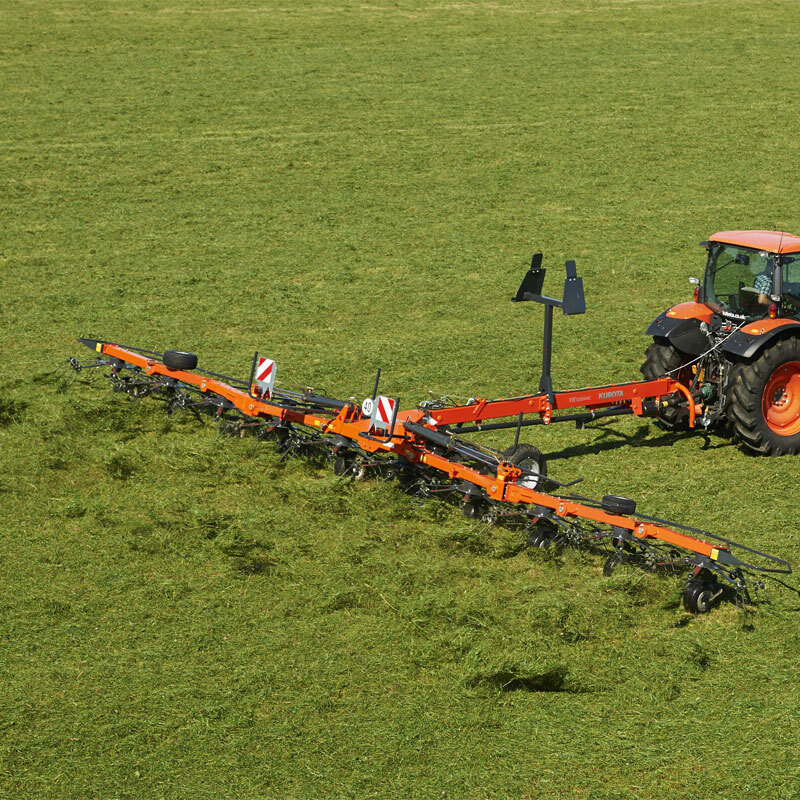 All operations are run hydraulically, and can be controlled from the tractor cab. The tedders come with a hydraulic adjustment for border tedding, to prevent loss of grass due to ditches or fences. Despite its size, both tedders are very easy to run. They are supplied with transport carrier as standard, making it possible to operate the machine in combination with low horsepower tractors. Unique transport solution with outer rotors folded onto the carrier frame. 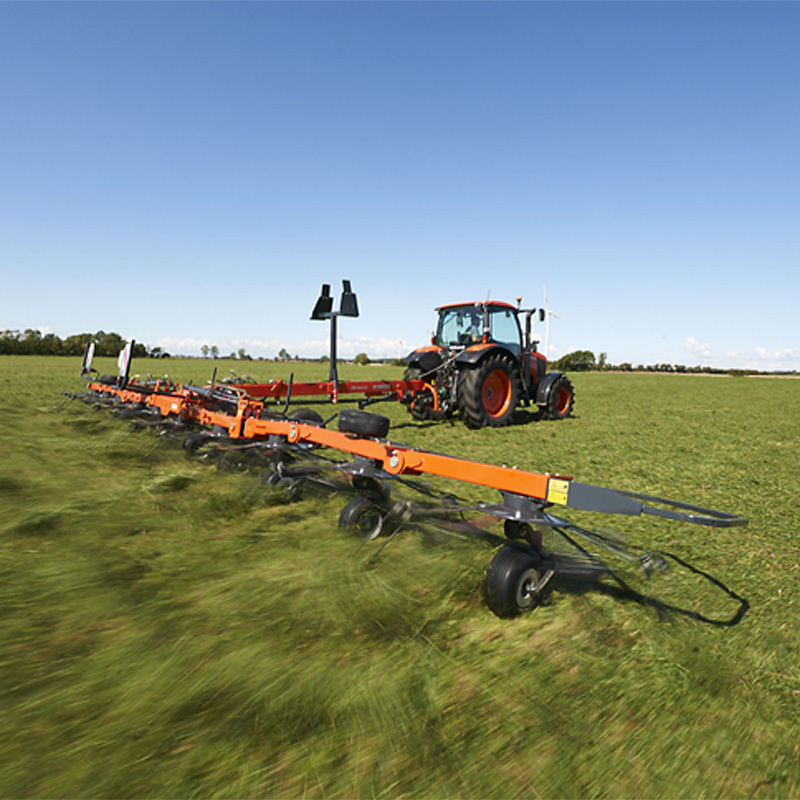 Wide track width of 2.00m ensures stability. The carrier frame design limits the tractor size needed. Hydraulically adjustable border tedding via two or three outer, right hand side rotors. 7 tine arms per rotor for optimal pick-up and distribution of material. Box type frame composed of two U-sections for extremely solid construction.